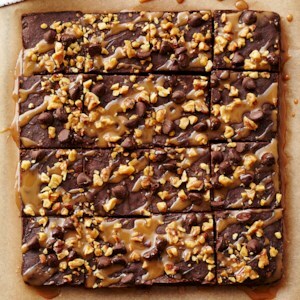 Find healthy, delicious brownie recipes, from the food and nutrition experts at EatingWell. 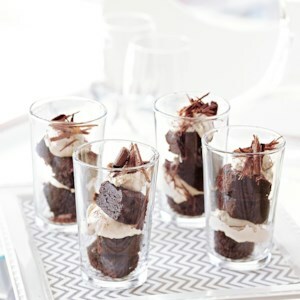 Three favorite desserts--tiramisu, brownies, and parfaits--are combined into one delicious treat. 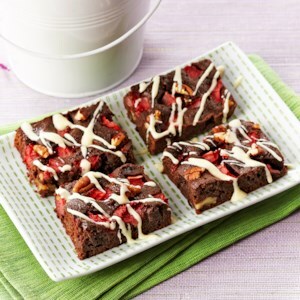 Change up your go-to brownie recipe by adding pecans and strawberries! 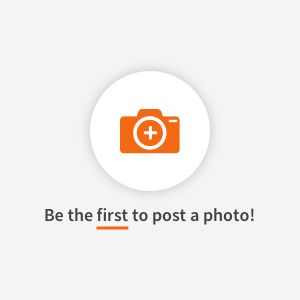 This delicious, diabetic-friendly treat is ready in under an hour. 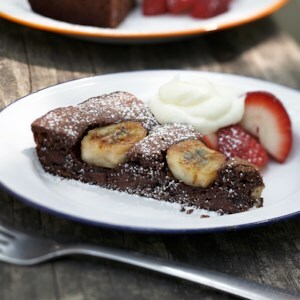 This healthy whole grain chocolate dessert recipe is made in a skillet on the grill. Kids love it and its diabetic-friendly! 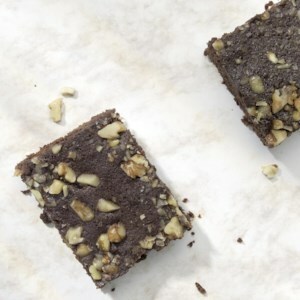 Two kinds of chocolate make these diabetic-friendly, health-minded brownies hard to resist. Enjoy them for a snack or dessert. 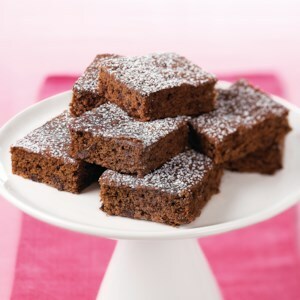 These decadent orange-spiced mini brownies can be made with sugar substitute for a diabetes-friendly option. 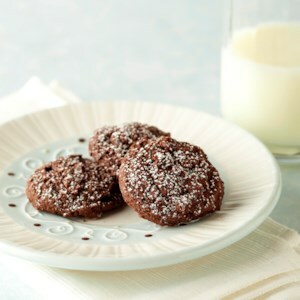 Cocoa powder and brown sugar make this easy drop cookie recipe taste like rich brownies. 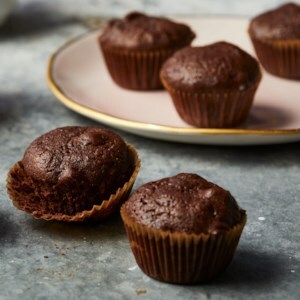 These mini-muffin brownies are perfect for an afterschool treat or healthy dessert. 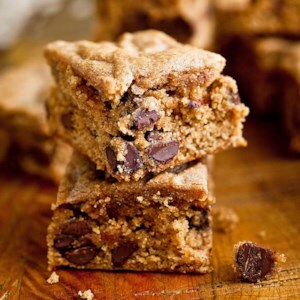 They stay moist with a secret ingredient--zucchini, which melts into each bite right alongside the chocolate chips, giving them a nutritional boost that you won't even notice. 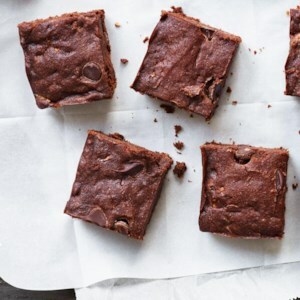 The batter for this healthy one-bowl brownie recipe is stirred together right in the saucepan used to melt the butter and chocolate--no mixing bowl needed and less cleanup for you. 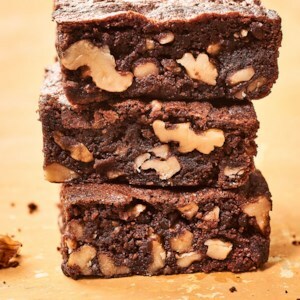 Using shredded zucchini in this healthy dessert recipe creates a tender, moist brownie with about half the amount of butter and sugar found in a classic recipe--and it's virtually undetectable in the baked brownies. 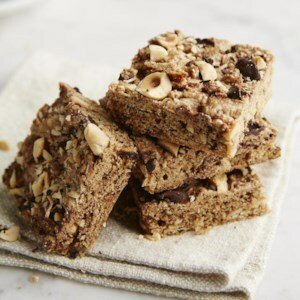 Packed with dried cranberries and low-fat granola, these firm bars are excellent travelers, full of complex carbohydrates, vitamins and trace minerals. 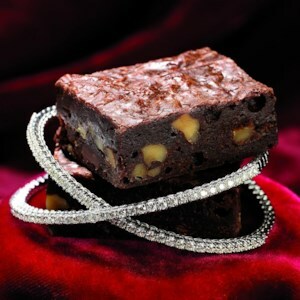 The combination of full-flavored Dutch-process cocoa and moist brown sugar produces a classic fudgy brownie that is very low in fat. 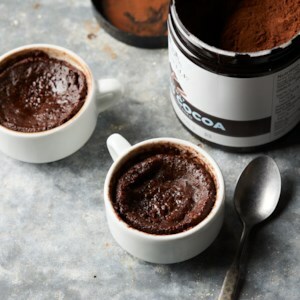 If you use American-style (nonalkalized) cocoa, add 1/2 teaspoon of baking soda to the dry ingredients to neutralize the slightly sour taste from the cocoa. For a pretty effect, drizzle the bars with melted chocolate. 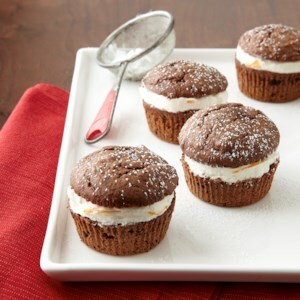 For bigger hits of chocolate goodness, use chopped bittersweet chocolate in place of the chips. Hold on to the leftover pumpkin puree--it's yummy stirred into your morning oatmeal or yogurt. 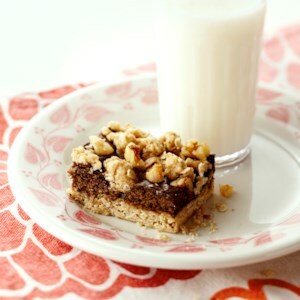 This whole-grain hazelnut-espresso blondie recipe has half the amount of brown sugar and butter as a traditional recipe and is made with 100% whole-wheat flour. The results: scrumptious toffee-flavored treats with fewer calories and less added sugars per serving. 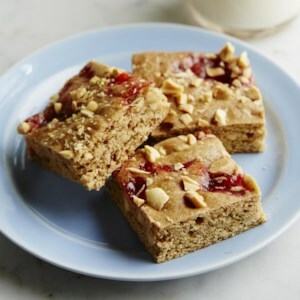 This whole-grain peanut butter and jam blondie recipe has half the amount of brown sugar and butter as a traditional recipe and is made with 100% whole-wheat flour. 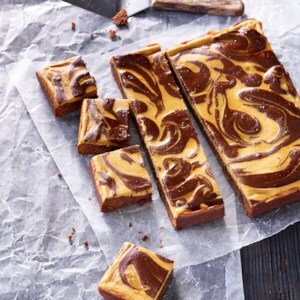 The results: scrumptious toffee-flavored treats with fewer calories and less added sugars per serving.